I'd imagine last season will live long in the memory of Middlesbrough fans? After coming so close through the Play Off the season before, it was quite a relief to get promoted without having to suffer that again! How's your start to this season been? Good! Well, in the Premier League anyway. Taking four points from our opening 3 matches is a good start back in the big time, plus beating Sunderland is always a bonus! Talk us through your squad, strengths? Weaknesses? I think it’s still early days to see if our promotion winning team can make the step up. In defence, Gibson and Friend look unfazed whilst midfielders Clayton and Forshaw look like they settled pretty well. New signings Antonio Barragan, Alvaro Negredo have strengthened the team in key areas, with Negredo playing a part in all of our Premier League goals so far. In terms of weaknesses, Brad Guzan looks a bit suspect however Aitor Karanka seems to be sticking by him. I feel we’re still lacking creativity in midfield, if Gaston Ramirez were to get injured we’ll struggle with a plan B. What do you make of Boro's business so far during this summer's transfer window? Anything else the club needs to do before the window shuts next Wednesday? Quite impressed with the signings so far. I think an additional creative midfielder would be a great addition to the squad, I’d be fully satisfied then. Looking back at 2015/16 again.. I'm sure there were a few but was there a particular highlight of the season? The moment the full time whistle blew at home to Brighton on the final game of the season has to be the one. Seeing Aitor Karanka and Grant Leadbitter walk out of the tunnel having sealed promotion makes up for the pain we suffered the season before. Losing to the likes of Bristol City and Charlton Athletic. Not sure I can pick out just the one, however Dimi Konstantopoulos, Ben Gibson, Dani Ayala and Adam Clayton all deserve a mention. 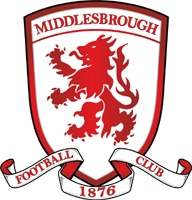 Back to the current season.. Is survival the only aim or do Boro fans expect more? Realistically survival is the only aim. Let's get a season of stability first and then we can take it from there. How confident are you that Boro can survive? Quite confident actually, we’ve started the season brightly, we still have a couple of days of the transfer window left. The only thing playing on my mind is the last 6 games of the season (Arsenal, Bournemouth, Man City, Chelsea, Southampton, Liverpool). How are Boro likely to line up on Sunday? Thoughts on the game and prediction? I’m in two minds on this game. Having read some comments from West Brom fans, it sounds like you’re due a good performance. If we play like how we did against Stoke and Sunderland, I think it’ll be 2-1 to Boro.